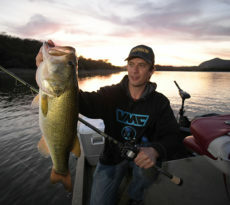 Z-Man lures has resurrected the fan favorite NED rig with their TRD MinnowZ for anglers who want more bass in their yaks! LADSON, SC – How exactly does one compute Z-Man Fishing’s captivating, though illogical softbait material, ElaZtech®? For that matter, how to explain the newly-minted TRD MinnowZ™— the bait Ned Kehde of Ned Rig fame calls “incredibly, incredibly, incredibly durable”? Fueling Kehde’s incredulity is the fact Z-Man’s surprisingly versatile bait actually feels far too malleable to be anywhere near tough enough to withstand the sort of fish-abuse he’s professed. 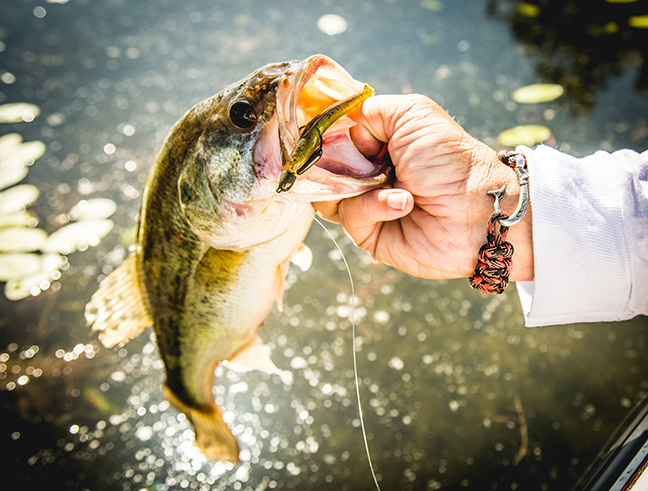 “I have never counted the vast numbers of fish a single TRD MinnowZ has caught,” Kehde admits, “but suspect it is in the range of 200 to 300 largemouth bass.” Consider for a moment the possibilities of an 8-pack of baits (8 x 200+ . . .) and you begin to understand how anglers convinced Z-Man to finally resurrect one of its original Ned Rig baits, first released in 2005. “Based on some pretty strong demand, we’ll be re-releasing the TRD MinnowZ (originally called the Rain MinnowZ) at ICAST,” says Z-Man national sales manager, Glenn Young. 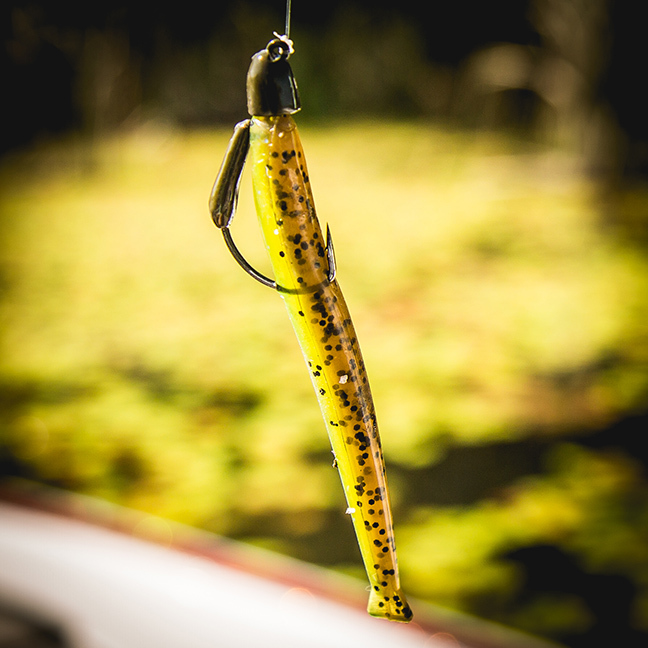 Crafted with a slim baitfish profile, the TRD MinnowZ mimics fish fry and other finger-sized fresh- and saltwater forage. The bait’s unassuming shape and subtle movements suggest aquatic life on countless levels, explaining much of its attraction. Which points back to the original question: How does one explain a bait that’s so soft, buoyant and lively, yet so virtually indestructible? “We’re not exactly sure where the TRD MinnowZ came from,” grins Young, at least half serious. “I’m not kidding. The mold to pour this bait just sort of appeared out of nowhere, like, it could be from a different planet. 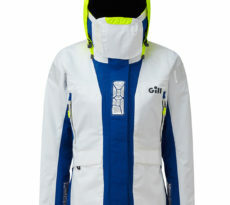 ElaZtech? Well, that’s our little secret. 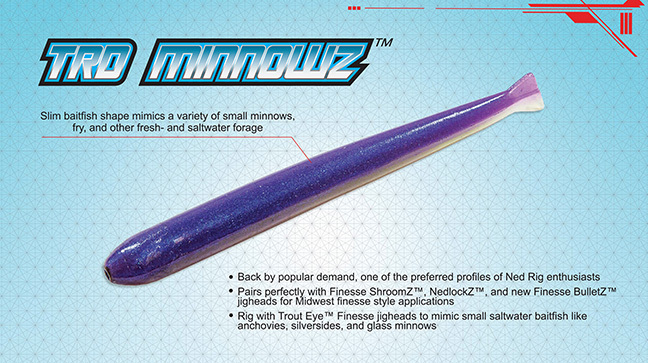 As occasionally happens with discontinued baits, shortly after phasing out the original version, the TRD MinnowZ began to garner a cult-like following. Demand for the bait chiefly came from fans of Ned Kehde’s Finesse News Network. The original MinnowZ also caught on with select saltwater anglers, first along the North Carolina coast, with several independent tackle shops pleading for the bait’s resurrection. An exceptionally versatile softbait, the Z-Man TRD MinnowZ can be Ned Rigged for bass, jigged for inshore species and even presented on a dropshot. 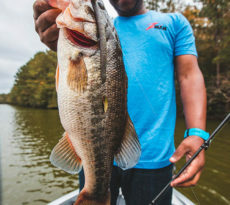 “The bait catches fish in so many different scenarios and presents such an array of rigging possibilities, it’s difficult to cover them all,” notes Young. NED RIG, NEXT GENERATION – The TRD MinnowZ perfectly matches Z-Man’s new Finesse BulletZ jighead for heavy cover finesse apps. The TRD MinnowZ has seen success in the salt, too, though its true potential remains undiscovered. Z-Man’s Joey Prochazka says the bait has always been an exceptional imitator of anchovies and glass minnows—both highly appetizing forage species for inshore fish—as well as an excellent candlefish clone for salmon anglers on the West Coast.